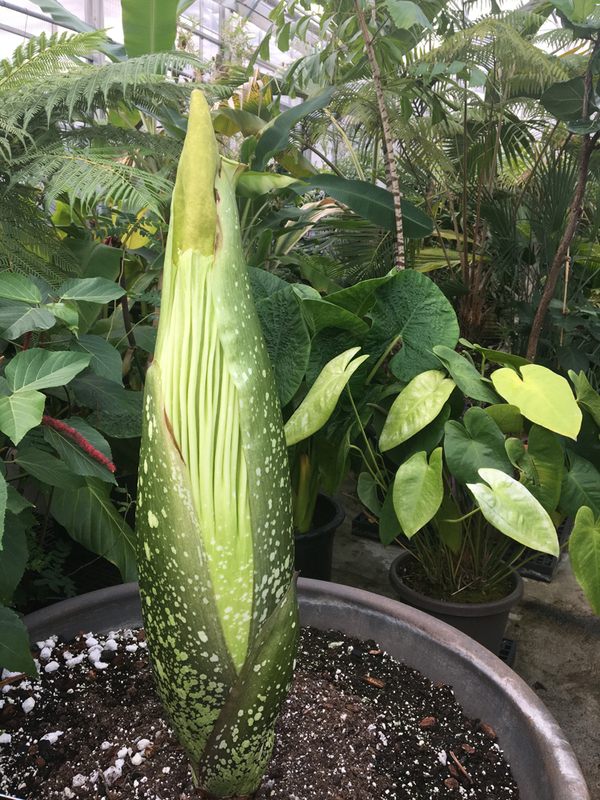 Stinky the corpse flower, the Amorphophallus titanum, bloomed the second time on Thursday, Aug. 30, 2017. 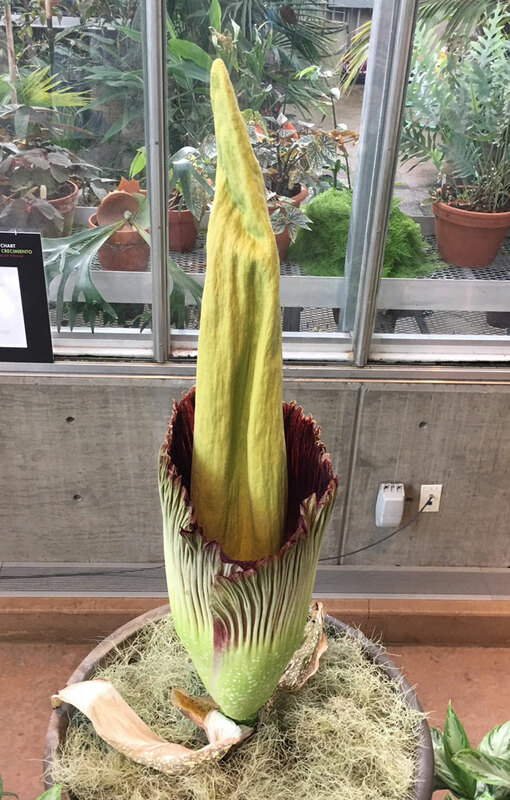 The bloom closed on Sept. 1. 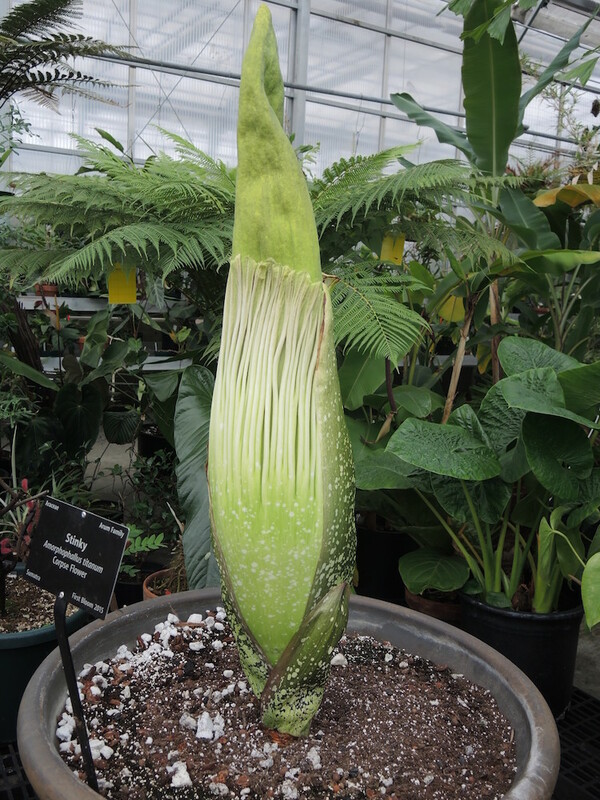 Stinky first bloomed in August 2015, marking the Gardens' first corpse flower bloom in its history. 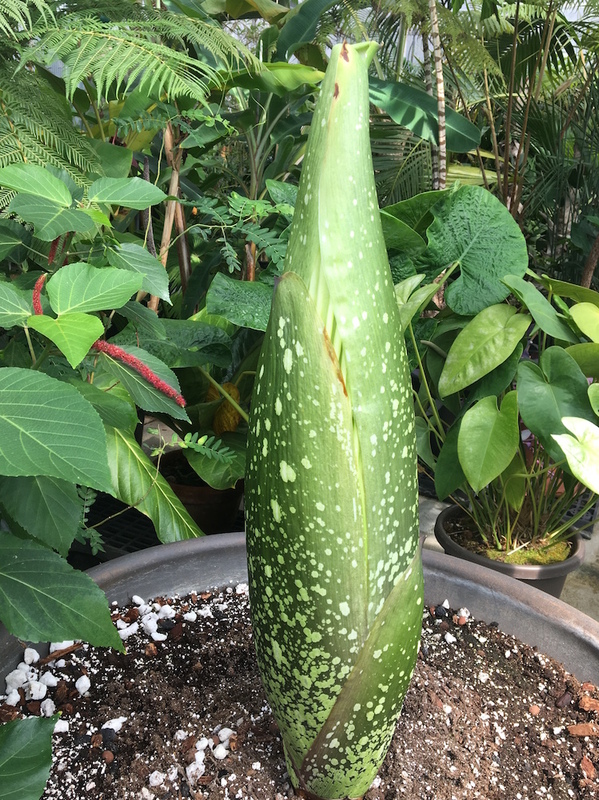 A different plant, Little Stinker, bloomed in 2016. 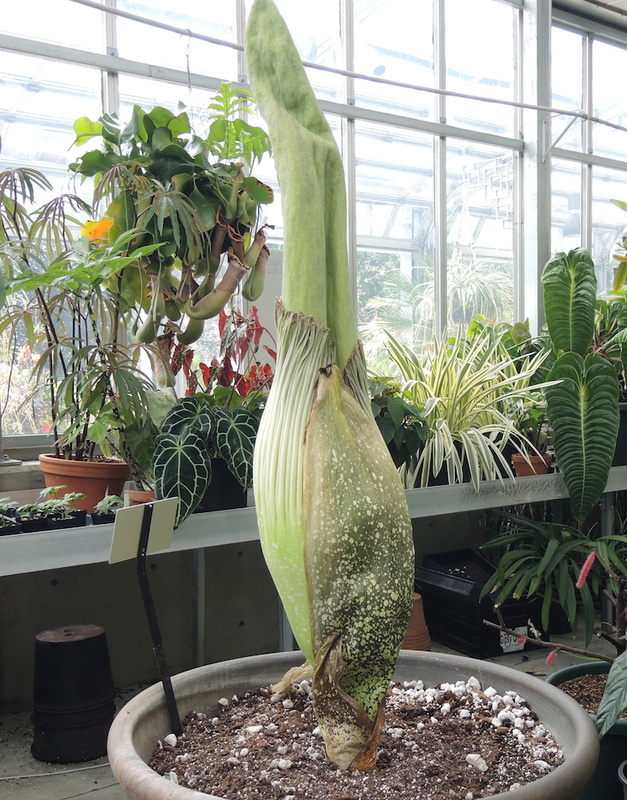 The corpse flower bloom, native to rainforests of western Sumatra (an Indonesian island), has a foul odor that resembles decaying flesh. 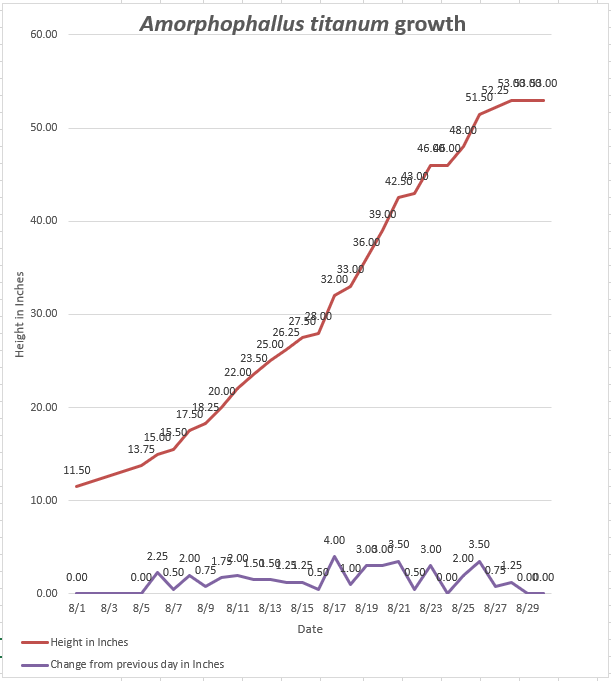 The potency of the aroma increases from late evening until the middle of the night and tapers off as morning arrives. 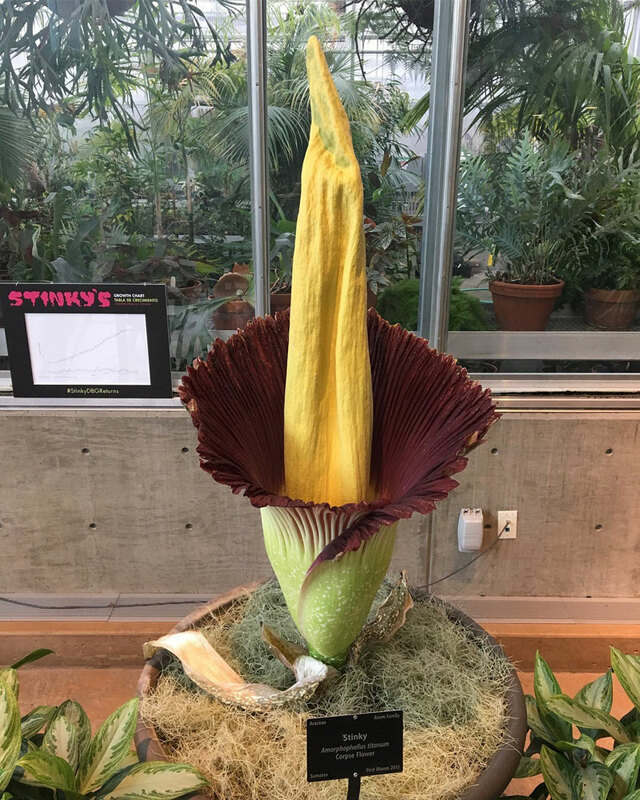 It does not smell until it blooms. 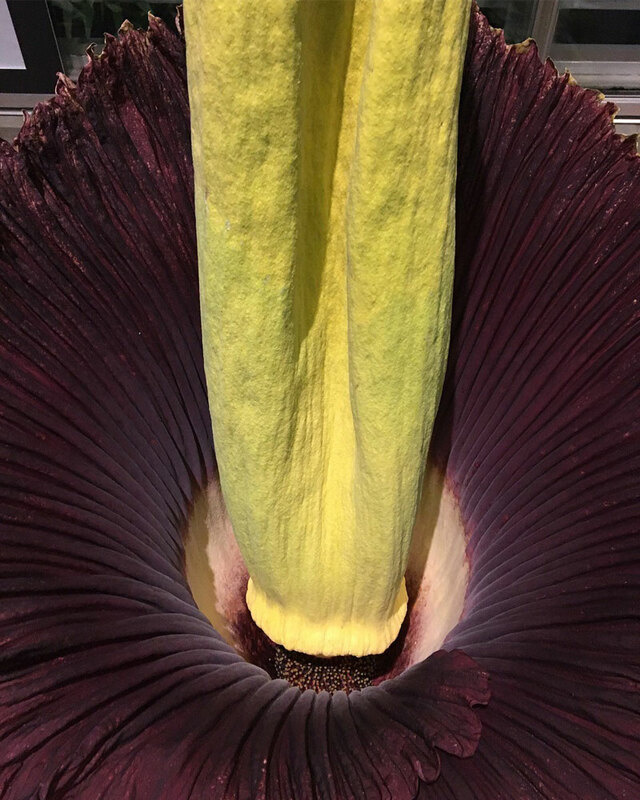 The smell is produced to attract flies and carrion beetles for pollination. 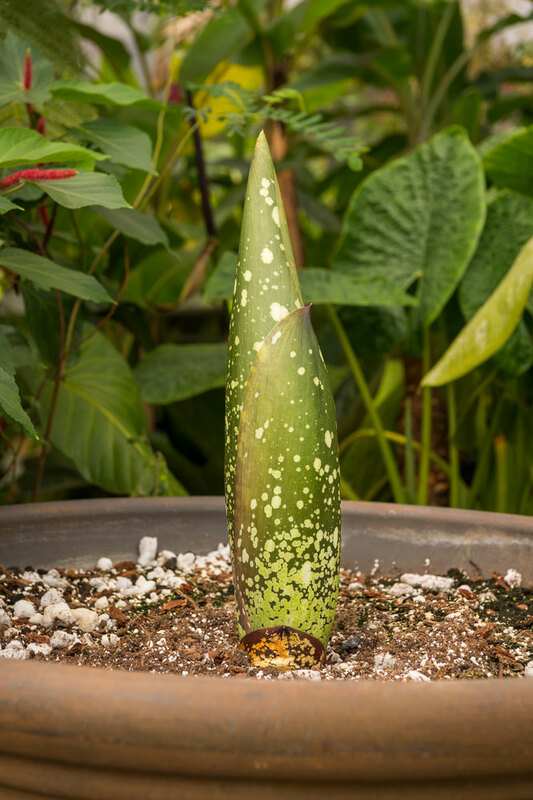 While blooming, the spadix (the large spike) warms to 98 degrees, further vaporizing the odor and increasing the range from which pollinators are attracted. 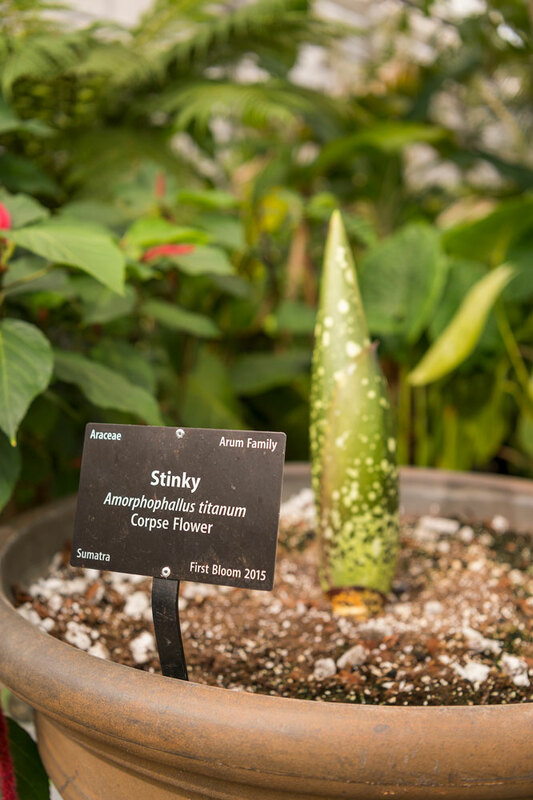 The Gardens took pictures of Stinky, the Amorphophallus titanum, from August 6-24, 2015 to show the plants' dramatic bloom cycle. 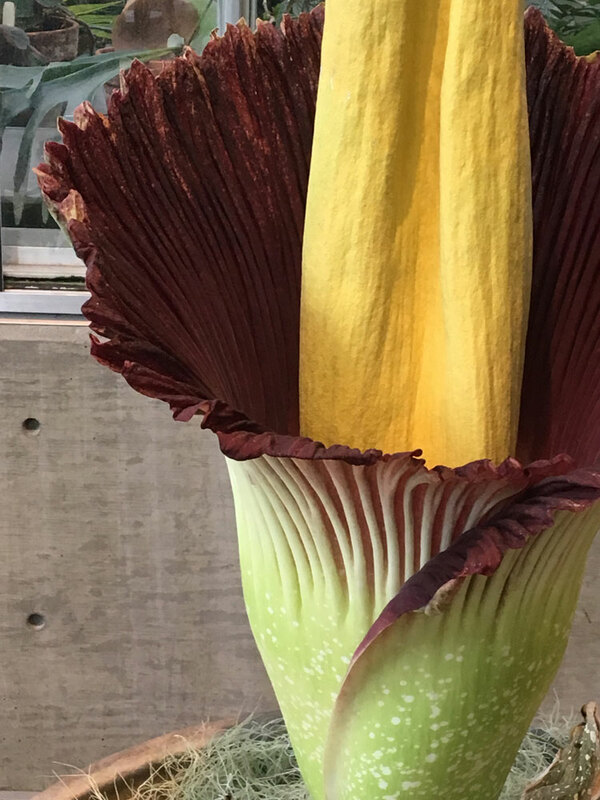 The time lapse video shows Stinky growing from two feet to five feet three inches before it unfurled dark burgundy leaves and released a strong odor.